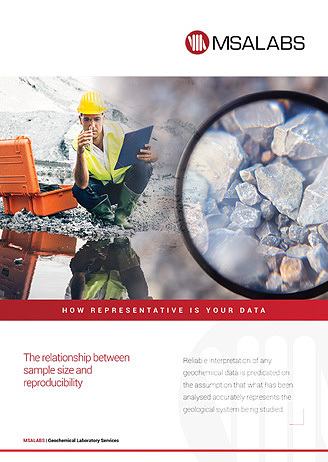 MSALABS provides full geochemical laboratory services for the mineral and mining industry globally. 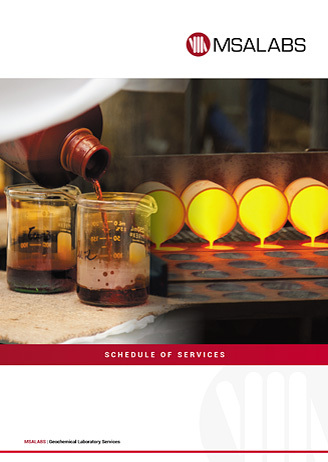 Download the brochure to read more about our services and support. We deliver a full range of geochemical laboratory services suitable for the differing requirements of greenfields exploration to production through to mine closure. 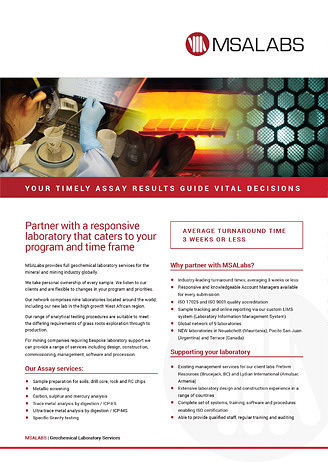 Our Schedule of Services outlines our complete services offer from Sample Preparation, Geochemical Analysis Services and On-site Laboratory Construction and Management. 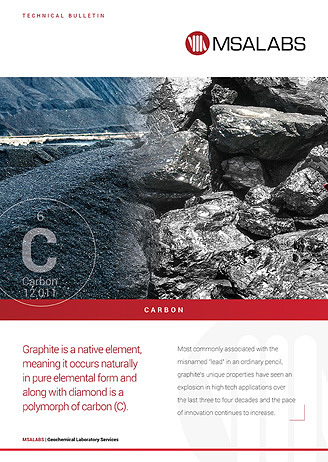 Graphite is a native element, meaning it occurs naturally in pure elemental form and along with diamond is a polymorph of carbon (C). Our Technical Bulletins provide information on the types of occurrence and recommended analytical methods. 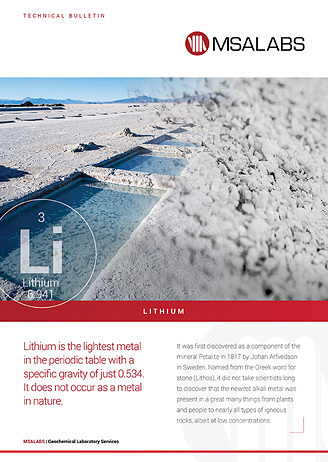 Lithium is the lightest metal in the periodic table with a specific gravity of just 0.534. It does not occur as a metal in nature. 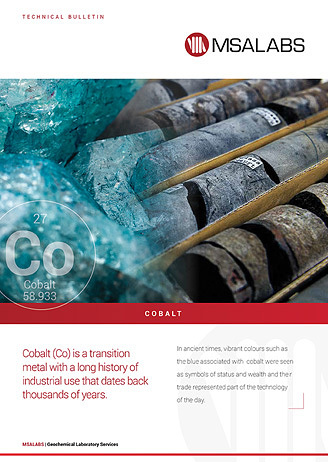 Cobalt (Co) is a transition metal with a long history of industrial use that dates back thousands of years. Reliable interpretation of any geochemical data is predicated on the assumption that what has been analysed accurately represents the geological system being studied. This brochure discusses the relationship between sample size and reproducibility. Multi-element geochemical analyses offer a wealth of information that is relevant to the entire commodity cycle and go far beyond information about potential grade. 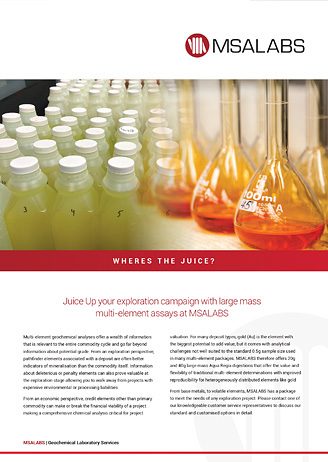 From base metals, to volatile elements, MSALABS has a package to meet the needs of any exploration project.